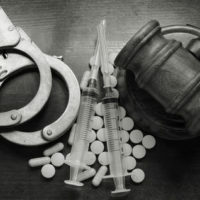 Faced with disturbing statistics on drugged driving accidents, the law enforcement community will be cracking down on drug crimes in Florida and across the US. According to the Governors Highway Safety Association, 44 percent of victims killed in car accidents tested positive for controlled substances. This figure is up 28 percent from just one decade earlier. Plus, enforcement of drug laws extends beyond driving as the opioid crisis continues, as officers are motivated to pursue drug possession and trafficking offenses. Therefore, Florida police are increasing their use of drug recognition experts (DREs), both when making arrests and in court. These professionals are specially trained to spot physical, behavioral, and other effects a person experiences when under the influence of drugs. However, you still have the opportunity to defend against the charges and a Florida drug crimes defense lawyer can help. This initial investigation by a DRE at the scene will not include any chemical tests, which can only be conducted under controlled circumstances. As such, the DRE testimony is very subjective and skewed in favor of law enforcement. Argue that the DRE exam is essentially a medical diagnosis being offered by a person who is not a physician, nurse, or other health care provider. If you were arrested for drugged driving, drug possession, trafficking, or related crimes, retaining skilled legal counsel is essential. DRE testimony is highly subjective, which means it’s possible to raise questions regarding reasonable doubt – thereby preventing a prosecutor from getting a conviction. For more information, please contact Fort Lauderdale drug crimes attorney Kevin J. Kulik. We can set up a consultation to review your case and discuss strategy.